Glass shelves - sizes suitable for use below standard poster holders on suspended displays. 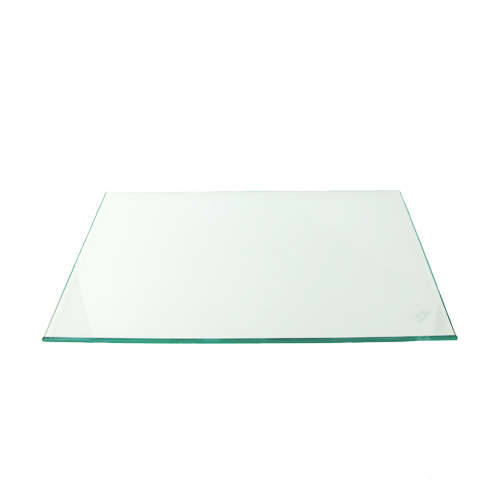 Made in 6mm thick toughened safety glass. PLEASE USE THE DROP-DOWN BOXES ABOVE to view different options for this item (eg by altering the 'shelf depth'). 6mm thick TSG (toughened safety glass) shelves. Widths are suitable to use with standard sizes of clamp-on poster holders (sizes A5L and A4P, A3L and A2P, A2L and A1P) on suspended displays.